For the survivors, the dropping of “Little Boy�? and “Fat Man�? wrenched apart our lives and altered forever the generations to follow. For those who witnessed from afar, still we carry the memories of those two deadly bombs. For many of us born after 1945, those devastating events are legacies that we’ve inherited and that inhabit our imaginations. Help heal the profound disruption caused by the dropping of the first atomic bombs that still resonates on the earth and in us. We invite you to bring your memories and experiences of living with nuclear weapons to share at the commemoration ceremony. 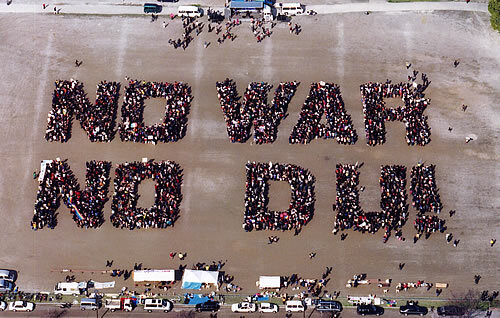 Then let us re-member together a vision of a truly just and peaceful world. 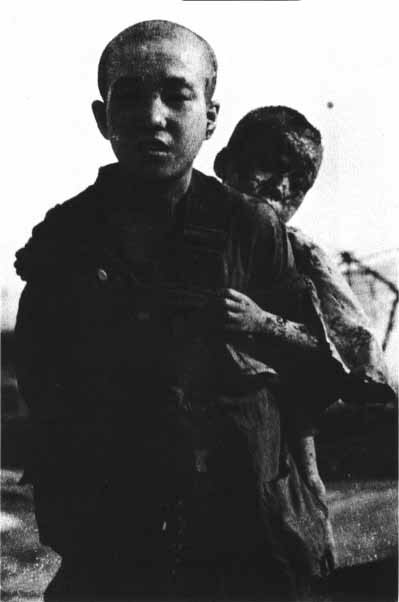 A child survivor of the Hiroshima bombing carries his injured brother.